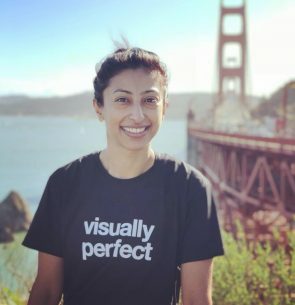 STPCon Spring 2019 in Burlingame CA: See You There! Later this week, we’ll be joining software testing professionals at the STPCon Spring 2019! The event will be held at the Hyatt Regency San Francisco Airport in Burlingame, California from April 1-4. 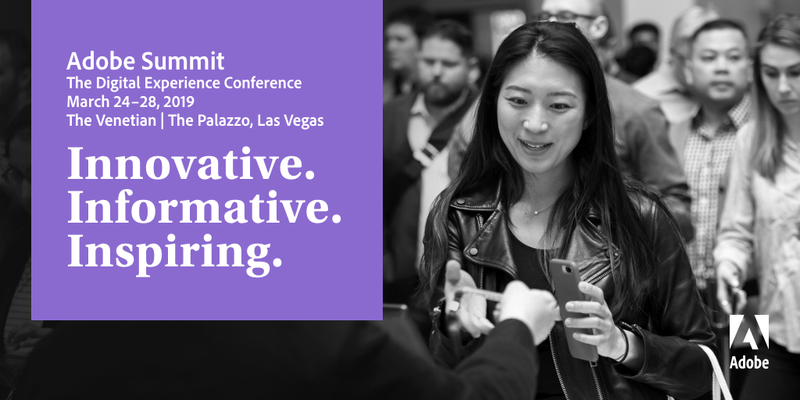 Adobe Summit 2019 in Las Vegas – See You There! Next week, we will be joining thousands of business marketing professionals at Adobe Summit 2019 in Las Vegas! Innovate Virginia 2019 – See You There! 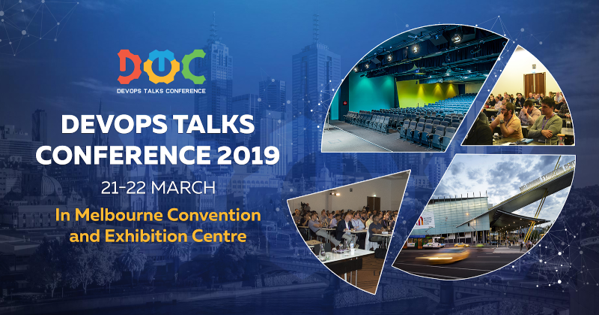 DevOps Talks Conference (DOTC): Melbourne 2019 – See You There! Later this week we will be joining global DevOps leaders at the DevOps Talks Conference (DOTC) in Melbourne, Australia! UKSTAR London 2019 – See You There! Next week, we’ll be joining software testing leaders at the 2019 UKSTAR conference in London, which will be held @ etc.venues, 155 Bishopsgate, Liverpool Street, London, on March 11 – 12. 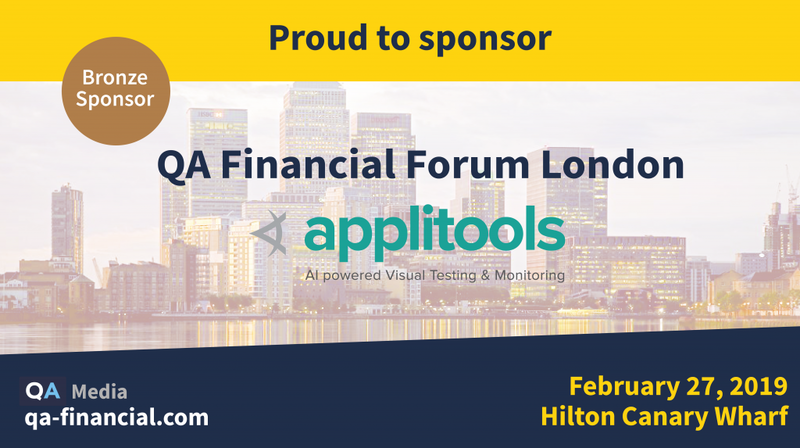 QA Financial Forum: London 2019 – See You There! This week, we’ll be joining FinTech leaders at the 2019 QA Financial Forum in London! 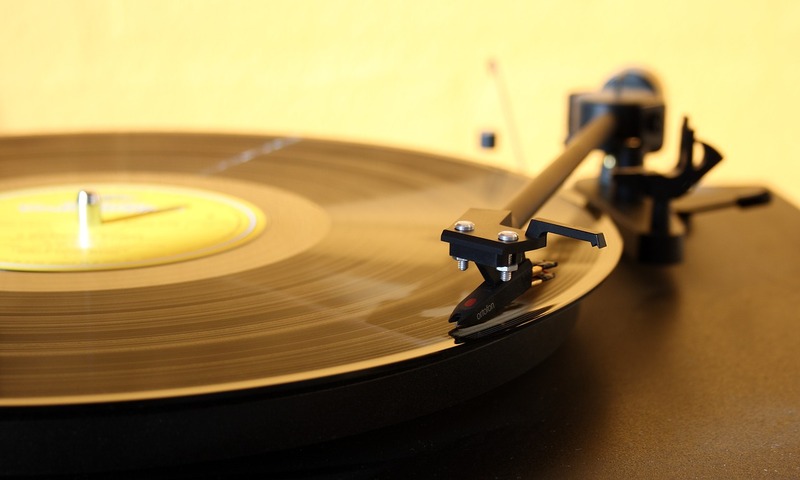 Automation Guild Online Conference 2019 – See You There! 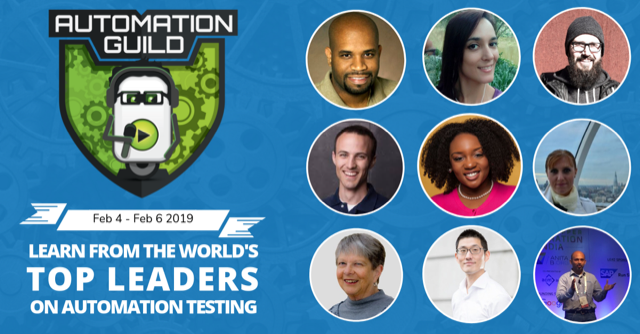 In February, we’re joining test automation industry leaders at the 2019 Automation Guild Online Conference! 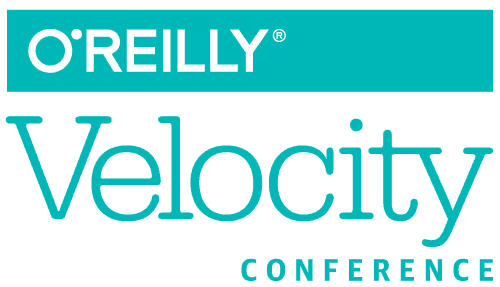 And as Platinum Sponsors, we are very proud to make it even more affordable for you: add coupon name APPLITOOLS when registering — and get 20% off your ticket! The European Software Testing Summit London 2018 – See You There! Next week, we’re joining software testing leaders at The 2018 European Software Testing Summit in London, UK! QA Financial Forum: New York, NY 2018 – See You There! This week, we’re joining FinTech leaders at the 2018 QA Financial Forum in New York City! EuroSTAR Software Testing Conference 2018 – See You There! Next week, we’re joining European software testing leaders at the World Forum The Hague in the Netherlands at EuroSTAR Software Testing Conference 2018! Agile Testing Days 2018 Germany – See You There! Next week, we’re joining agile and test automation leaders at the Dorint Sanssouci Berlin/Potsdam in Potsdam, Germany at Agile Testing Days 2018! STPCon Fall 2018 – See You There! TestBash Australia 2018 – See You There! 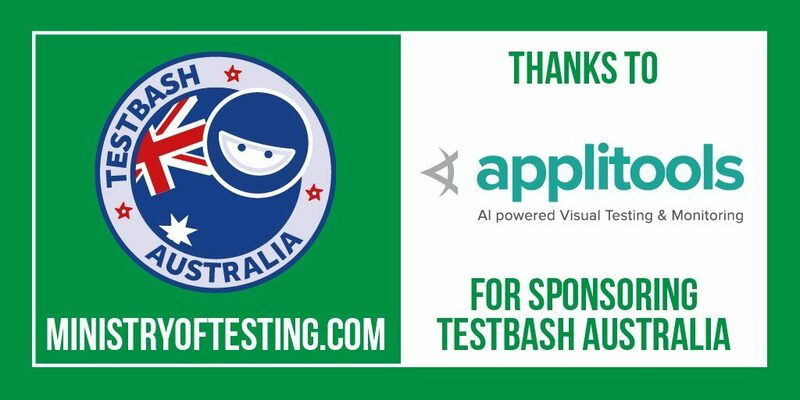 This week, we’re joining our software testing friends down under at TestBash Australia at the Aerial Function Centre in Sydney, Australia. StarCanada 2018 Toronto, Ontario – See You There! 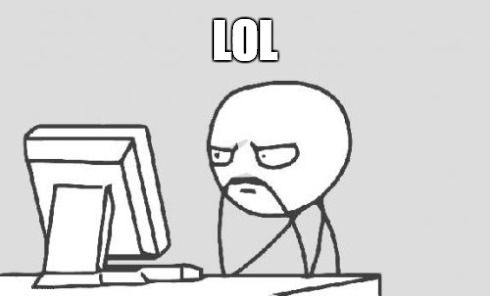 Later this week, Applitools’ Sr. Architect and Evangelist Gil Tayar will be joining software testing and quality assurance (QA) leaders and practitioners at the Hyatt Regency Toronto Hotel in Ontario, Canada for StarCanada 2018. SeleniumConf Chicago 2018 – See You There!